Fruitless Pursuits: Hot Toy's Reveal Resident Evil's Ada Wong! 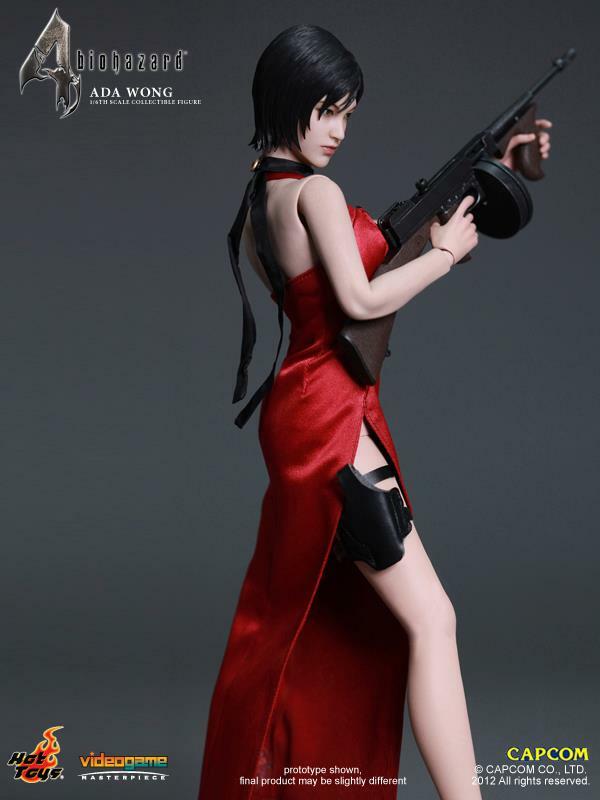 Hot Toy's Reveal Resident Evil's Ada Wong! It feels like it's been a little bit quiet on the Hot Toys front, with most of the reveals of our favourite eerily realistic 1/6th scale figures happening around convention season. But those plucky artistes in Hong Kong are still cranking new work out, but not what you might expect. 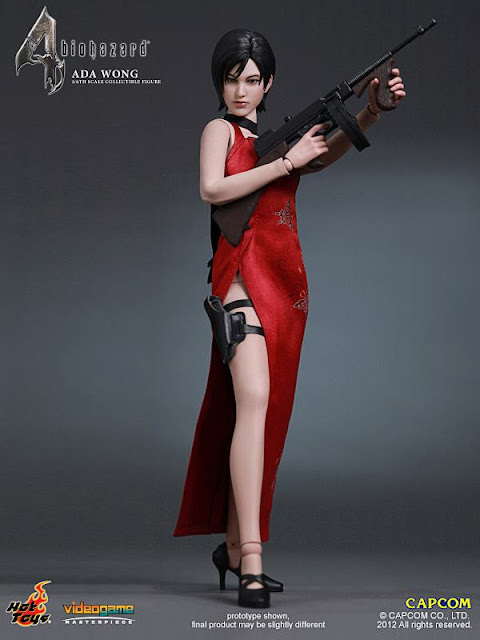 We've mostly admired their movie based lines, but they also do release the odd video game based figure, case in point being Resident Evil 4's - or as it's known in Japan Biohazard 4's - sultry Ada Wong. Could this open the door to an ultra-realistic Hot Toys Pac-Man? Join me after the jump for more images and discussion! My own Resident Evil engagement is somewhat perfunctory. I know I've played and enjoyed some of the earlier ones, and I got most of the way through 5, but I'm terribly familiar with the core characters. 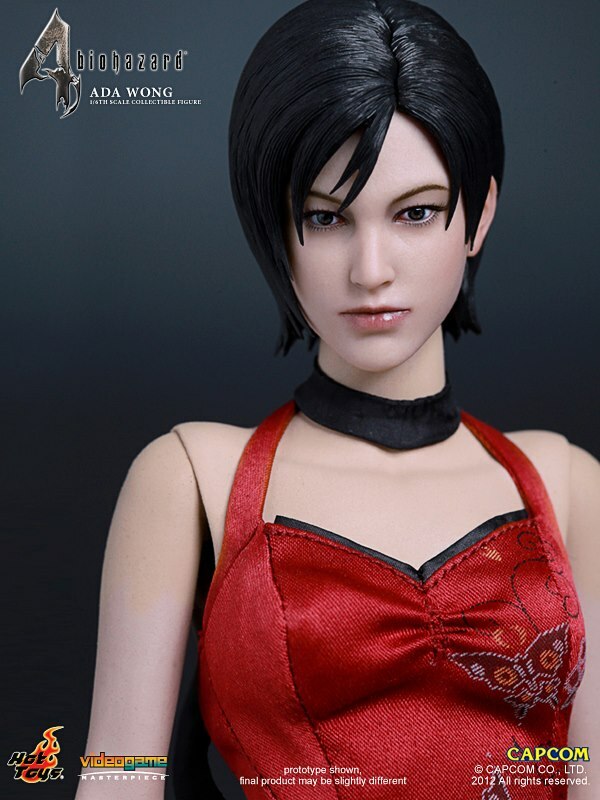 But I do know that there are a hell of a lot of fans out there, many of which are also fans of Hot Toys, so Ada's 1/6th scale debut is worth noting. And here you can see a ton of accessories including a badass crossbow and a pair of sunglasses - shame they didn't photograph her in them. Are you a Resident Evil fan? Does this figure appeal? Have they nailed it or not? Speak, damn you! Holy crap.. it's like I'm not even here. 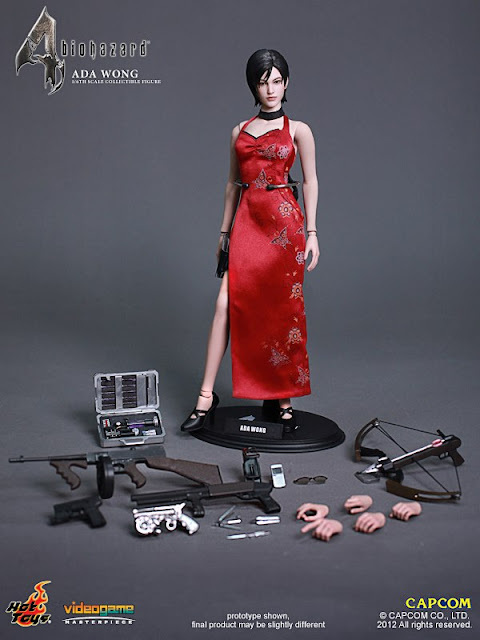 And if this does hit you right in your Resident Evil fan button you can, of course, pre-order Ada right now from our dear friends at Sideshow Collectibles. Go on! Make us happy! My Black Widow Photo Shoot! Game Night: Exit, BATTLE, and King of Tokyo! OK Then, Let's Watch the Iron Man 3 Trailer!